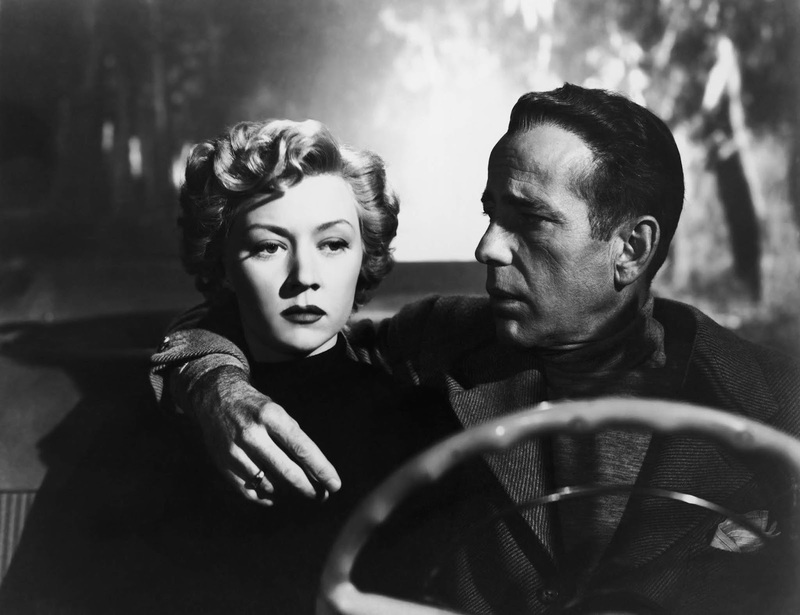 This week's TCM picks are chock full of great films noir, including Gloria Grahame and Humphrey Bogart in director Nicholas Ray's Hollywood noir, In a Lonely Place (photo above). 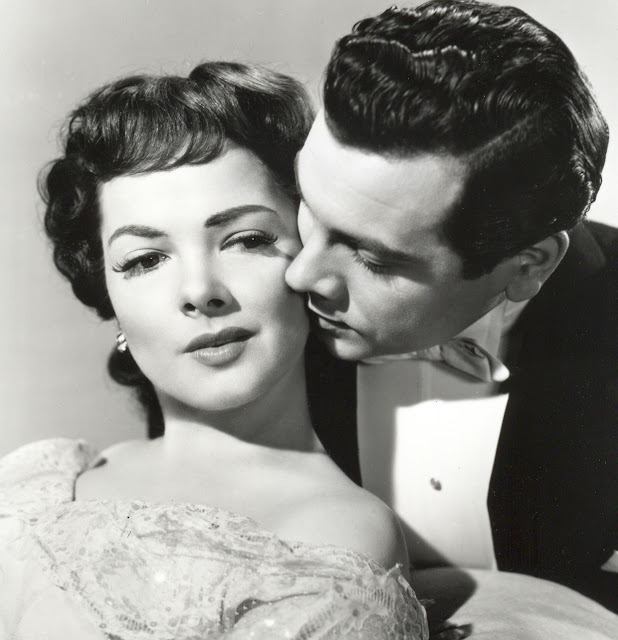 There's also a supernatural romance featuring comedy legend Ernie Kovacs (his 100th birth date is Wednesday) and a weekend of films that honor Screen Actor's Guild lifetime achievement award winners. Note: All times are ET and the highlighted text has links to full-length articles. Here's a link to the complete schedule for Jan. 21-Jan. 27. Sidney Poitier in Edge of the City (1957). 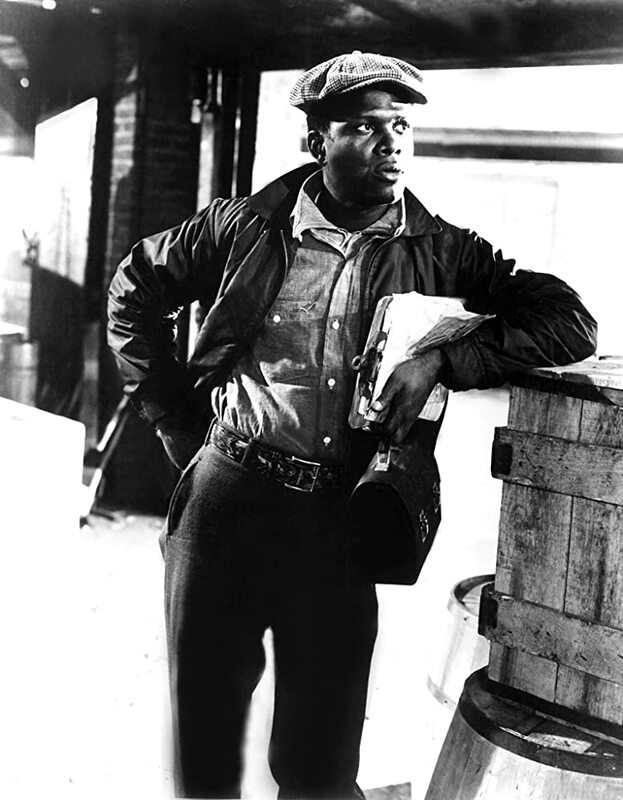 Edge of the City (1957) at 12:30 pm Monday, Jan. 21: This documentary-style noir about corruption and racism on the New York City docks features a fabulous performance from Sidney Poitier as a worker who befriends new employee John Cassavetes (Ruby Dee is also memorable in as Poitier's wife). The movie does owe a debt to On the Waterfront (1954), but it deals with issues of race and class that are largely absent in the earlier film. Part of a daytime lineup in honor of Martin Luther King Jr. Day. To Have and Have Not (1944) at 4:30 pm Tuesday, Jan. 22: Old Hollywood legends Lauren Bacall and Humphrey Bogart met while making this Ernest Hemingway adaptation about a cynical fishing boat captain who gets enlisted in the fight against the Nazis. The plot is fairly silly stuff (director Howard Hawks was right in calling it Hemingway's worst work) but the chemistry between Bogie and his lady love is incendiary, especially in the famous whistle scene. Part of a daytime lineup of wartime romances. January star-of-the-month Kathryn Grayson and tenor Mario Lanza were a popular screen team who appeared in two films together: That Midnight Kiss (1949) at 10 pm Tuesday, Jan. 22 and The Toast of New Orleans (1950) at 1:45 am. 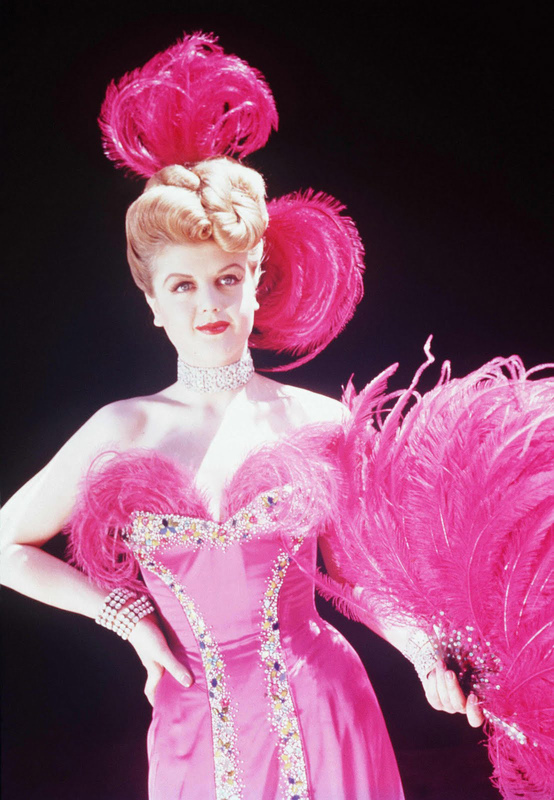 These lightweight musical comedies feature the two MGM stars finding romance while also belting out arias from Madame Butterfly and Carmen. The pair perform a memorable duet of Lanza's theme song, "Be My Love" in The Toast of New Orleans. 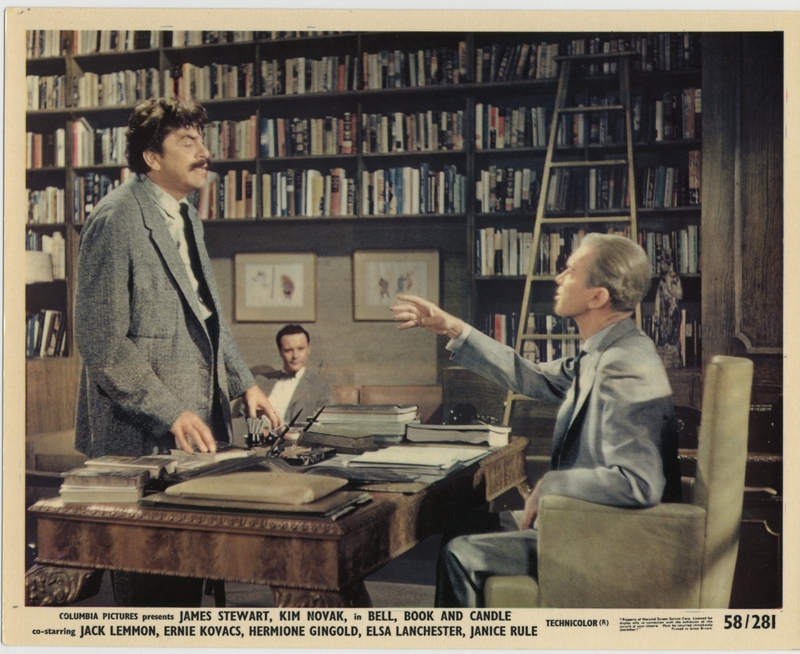 Bell, Book and Candle (1958) at 2:30 am Wednesday, Jan. 23: Comedian and actor Ernie Kovacs was born Jan. 23, 1919, in Trenton, N.J. A pioneering TV host whose work influenced everything from Monty Python's Flying Circus to Saturday Night Live (TCM is broadcasting two episodes of The Ernie Kovacs Show in prime time), Kovacs also appeared in several films, including this supernatural rom-com in which he plays a tippling author who is researching witchcraft. 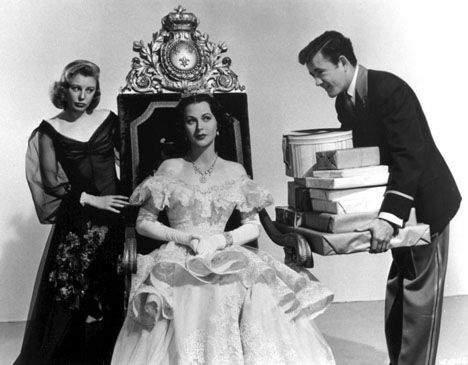 Her Highness and the Bellboy (1945) at 2 pm Thursday, Jan. 24: This rom-com about a naive hotel employee (Robert Walker) who falls under the spell of a beautiful princess (Hedy Lamarr) is a fun afternoon watch for anyone who enjoys royal gossip and/or Hallmark movies. The somewhat silly plot is made up for by the great cast, especially Lamarr, who has an unexpected flair for comedy. Part of a daytime lineup of royal romance. 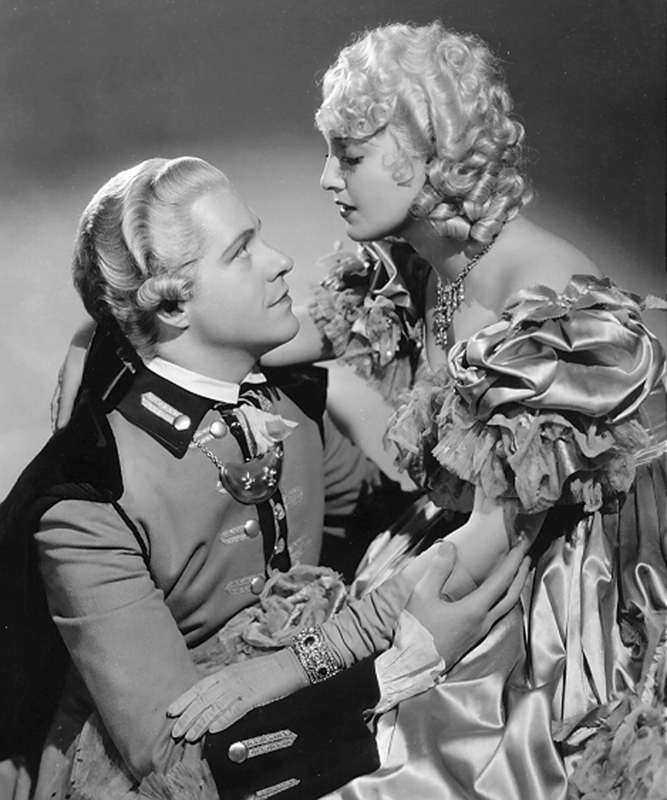 Naughty Marietta (1935) at noon Thursday, Jan. 24: Nelson Eddy and Jeanette MacDonald's first film together was this delightful version of Victor Herbert's operetta that includes the duo belting out an unforgettable rendition of "Ah, Sweet Mystery of Life" (clip here). By the early 1960s, the sword-and-sandals movies were mostly played out in Hollywood, but Italian filmmakers continued the genre by featuring mythical strongman Maciste, who was re-named Hercules for the overseas market (the whole Maciste/Hercules thing is kind of complicated, but Wikipedia has a nice summary). These movies, which featured dubbed dialogue and plenty of action, were popular drive-in theater fare, and they later became a staple of late-night TV. 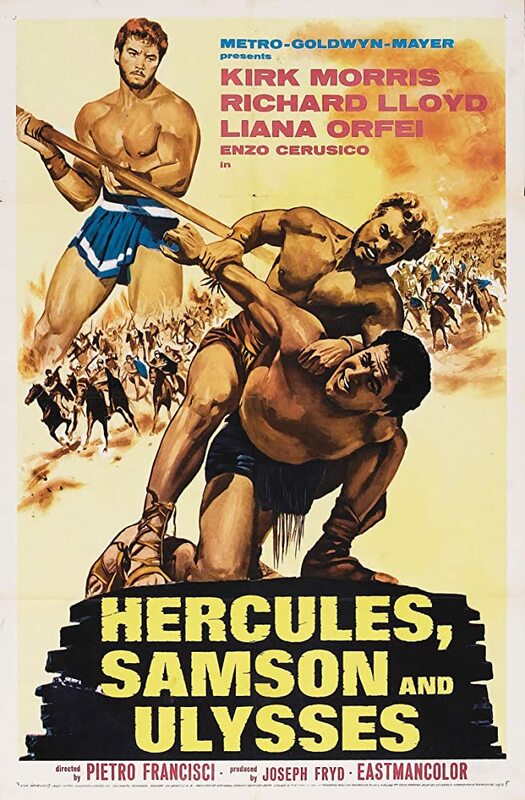 TCM is airing a night of Hercules films on Thursday, Jan. 24 starting with Hercules, Samson, and Ulysses (1963) at 8 pm in which the big guy (Kirk Morris) teams up with fellow Greek hero Ulysses (Enzo Cerusico) and Biblical strongman Samson (Iloosh Khoshabe billed here as Richard Lloyd). Other highlights include former Tarzan Gordon Scott taking over the toga in Tyrant of Lydia Against the Son of Hercules (1963) at 9:45 pm and Hercules Against the Barbarian (1960) at 3:15 am, which has an intriguing plot and great production values. The Breaking Point (1950) at noon Friday, Jan. 25: This second screen version of To Have and Have Not is the superior film. 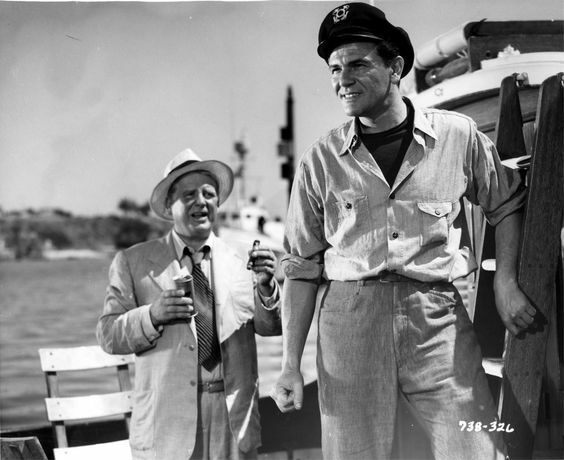 Michael Curtiz directs with his usual verve and both John Garfield as a desperate skipper and the criminally underrated Juano Hernandez as his first mate are superb throughout. Part of a daytime lineup of movies starring Patricia Neal. TCM is celebrating the 25th anniversary of the Screen Actors Guild Awards with a night of films from lifetime achievement award winners. 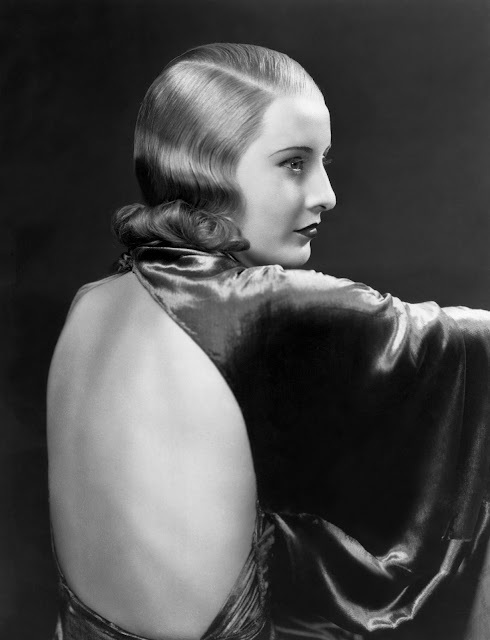 The fantastic late night lineup starts out with Barbara Stanwyck in the ahead-of-its-time pre-code film Baby Face (1933) at 11:45 pm Friday, Jan. 25, followed by James Stewart in the seminal Western Broken Arrow (1950) at 1:15 am. Edward G. Robinson does a hilarious self parody as a gangster who is forced to hide out in monastery in Brother Orchid (1940) at 3 am. Finally, Gregory Peck gives a fine performance as writer C.S. Forester's Naval hero in Captain Horatio Hornblower (1951) at 4:30 am. 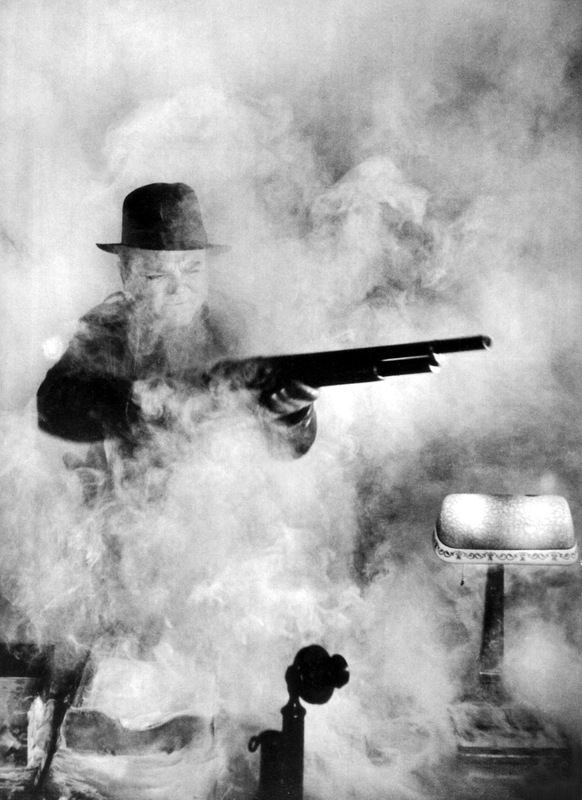 White Heat (1949) at 12:30 pm Saturday, Jan. 26: SAG Lifetime Achievement Award winner James Cagney gives a sensational performance as neurotic gangster Cody Jarrett in this documentary-style noir from director Raoul Walsh. Cagney was always a fearless actor, but this is perhaps his gutsiest performance with the famous prison dining hall scene and the literally explosive conclusion. 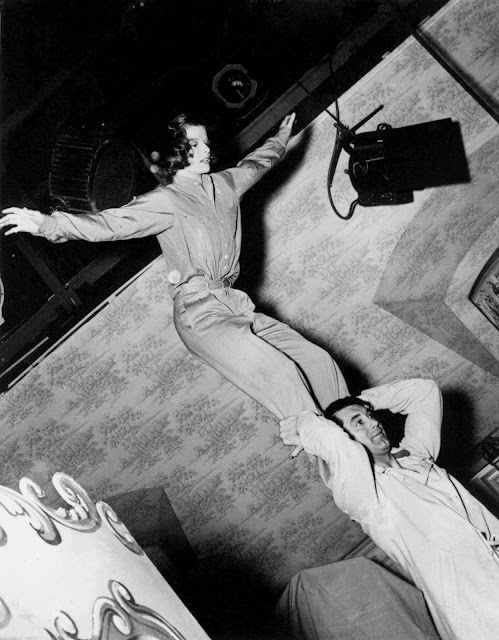 Holiday (1938) at 2:30 pm Saturday, Jan 26: SAG winner Katharine Hepburn's second film with Cary Grant was this bittersweet romantic comedy about two misfits who find love during the Christmas season. The Harvey Girls (1946) at 4:15 am Saturday, Jan. 26: Set your DVR for this delightful Judy Garland musical that features the Academy Award-winning song "On the Atchison, Topeka, and the Santa Fe" and SAG Award winner Angela Lansbury in a memorable performance as a saloon girl who tries to drive the wholesome Harvey Girls out of town. TCM is treating viewers to a Sunday night version of Noir Alley that includes two of the best examples of the noir genre. First, former POW Robert Ryan goes on the hunt for the senior officer (noir icon Van Heflin) who betrayed him in Act of Violence (1949) at 8 pm. Next is director Nicholas Ray's masterpiece about love and urban isolation, In a Lonely Place (1950) at 9:45 pm. I've been preparing my husband for the greatness that is The Breaking Point. I hope those unfamiliar with this film will take your recommendation to heart. Yes, they can watch it on TCM or seek out the Criterion Collection's excellent DVD.